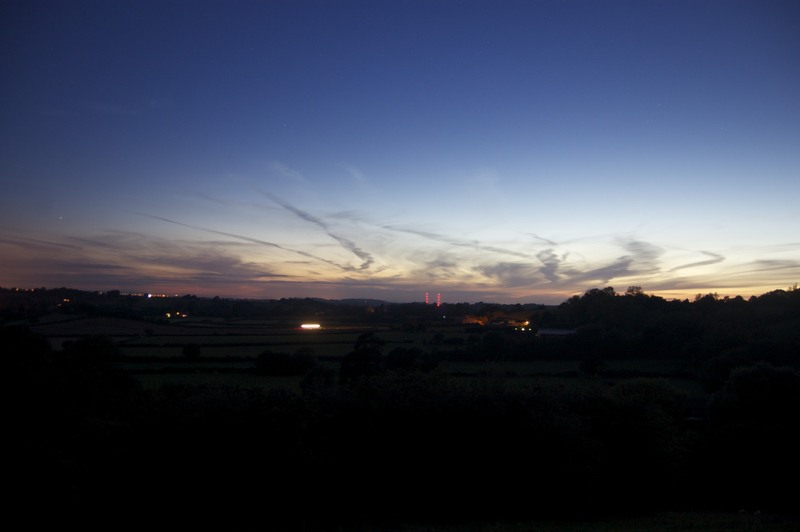 Nine in the evening, the sun has just set, and a 20 second exposure is required to capture the colour in the sky. The line of light in the middle of the photo is the headlights of a combine harvester – the farmer was harvesting his crop well into the night. [ Smiles ] A very pretty view. Thank you. With night photos, you are never sure what you get until you look at the final image. [ Smiles ] You are right about that!